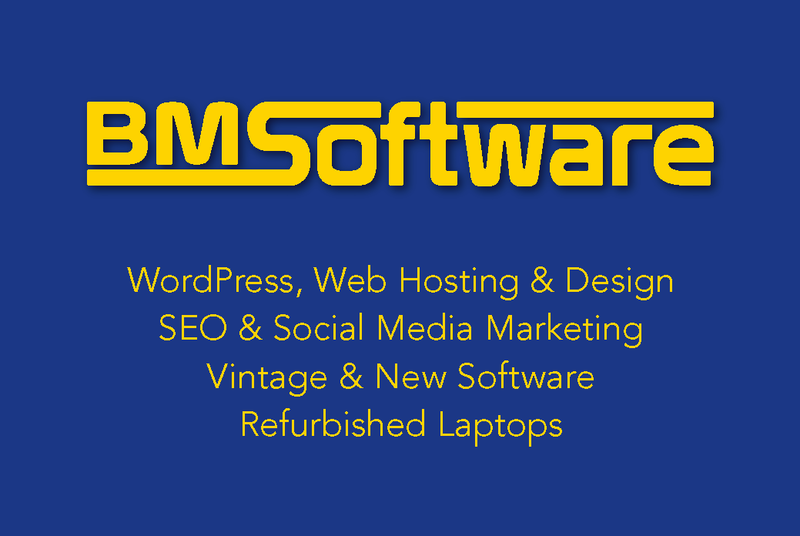 BMSoftware are computer software and PC hardware resellers, as well as web design hosts, SEO & SMM experts. We specialise in business, language, religious and educational software including office, training, finance, translation and graphics software whether for home, school, business, government or professional use. We also cover a wide range of arts and crafts software including DTP, clipart and scrapbooking. This section of the site includes our most popular titles from Corel, Davka, Focus, LEC, Microsoft, NeuroTran, Systran, Serif, Ulead, Adobe, ArcSoft, Nova Art Explosion, Greenstreet and Lotus. 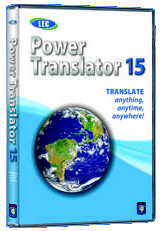 Power Translator 15 Euro, formerly L&H/Globalink/MediaGold Power Translator Pro, runs on Windows 98, XP and now Microsoft Vista and Windows 7/8/8.1. This premier translation software has improved dictionaries for translating English to/from Brazilian, French, German, Italian, Portuguese, Russian and Spanish. Includes translate Plug-Ins for Microsoft Word, Excel, Internet Explorer & PowerPoint and for the first time Mozilla Firefox; compatible with all versions of Microsoft Office 2000, XP, 2003, 2007, 2010, 2013. Upgrades from Power Translator 8, 9, 11, 12 and 14 available. Now includes built in Abbyy document scanning engine to OCR and translate direct from scanned documents and photos. 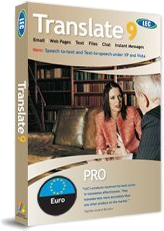 "Power Translator Premium was the most effective translation software tested, with its accurate spelling, grammar and pronunciation it easily soared straight to the top. Power Translator has a knowledgeable interface of languages and can translate even the different grammar styles to various languages. Pros: Translations are more accurate than other translation software programs. Cons: Only seven languages are available on the CD-ROM. The Verdict: Power Translator Premium is one of the most accurate programs and will not leave you disappointed." Given that the review was of the budget Premium version and not of the Translator Pro/Euro nor LEC Translate Business/Pro with extra technical dictionaries and enhanced features that is praise indeed. 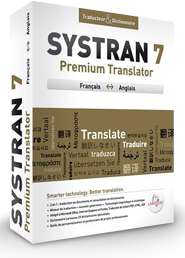 Why not check out an alternative leading provider of foreign language translation software: Systran, a world leading supplier with Personal, Office, Business, and Premium versions with more than 50 available language pairs including: Arabic, Chinese, Dutch, French, German, Greek, Italian, Japanese, Korean, Polish, Portuguese, Russian, Spanish, Swedish. Need other languages, how about Arabic, Bulgarian or Hebrew translation software, Polish translation software, Romanian translation software, Turkish or Ukrainian? Windows Mobile and Pocket PC language & translation software, voice, text, word & phrase translating, vocabulary learning, travel phrasebooks, medical terminology, for 42 languages. Trying to find old or discontinued software? We specialise in product compatibility advice and maintaining stocks and sourcing old, out of date or discontinued software such as Adobe Acrobat/Photoshop, Corel Draw, Lotus Organizer/SmartSuite for XP, Vista & 7; Microsoft Office 95,97,2000,2002,2003,2007; Quicken for Windows 98 through Windows 7, Serif DrawPlus, PagePlus, Windows 98 SE, 2000, XP, WordPerfect, Microsoft Money/Works Suite software ... Over 1500 discontinued titles available at discount pricing. 5-15% discount on any craft, needlework, cross stitch, card making, scrapbooking software ordered from our Arts and Craft section. Dozens of crossstitch, papercraft, origami, and card design software titles. Check out Art Explosion's latest Greeting Card Factory Deluxe design software at 10% off; Jane Greenoff's Cross Stitch Pattern Creator 3/Gold (now Vista compatible) or the Royal School of Needlework software. See titles from ArcSoft, Art Explosion for clipart, cards, scrapbooking and graphics software, Focus Multimedia, Ilsoft... and many more. Exceptional value biblical reference collections from Biblesoft including up to 30 bibles, 20 commentaries, maps, photos, 10 dictionaries, 35 Greek and Hebrew aids, 50 further biblical and historical study aids including concordances, quotes & illustrations, hymnal, personal notes system and more. Choose from the economical Discovery Library right up to the Professional Reference Library. 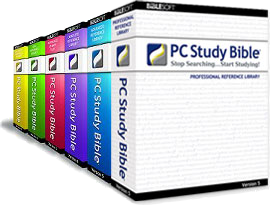 The best Hebrew, English biblical language wordprocessing software. Includes unicode support for other languages, built in access to biblical and other Hebrew texts (Bible/Tanach, Mishnah, Siddur), nikud (Hebrew pointing) and more. 48 Hebrew fonts - all with nikud and trop, colour letters, nikud and trop separately, Intelli-Accent technology for custom placement of vowels and trop. Importing of Dagesh, Nota Bene and other Hebrew wordprocessor formats. Exports Hebrew text with nikud and trop to non-Hebrew-enabled software. FlexiText - stretch and twist text with dozens of creative effects and use for Hebrew posters, desk top publishing projects. Works on Windows XP, Vista, 7, 8 and now new for Apple Mac OS X version 10.4 through 10.8. We do much more than just listed here. We can provide software from over 2,000 titles and	computer hardware from 16,000 lines. Whether it's Microsoft Office or a million clip art images you're after we have it. For projects that	need graphics we have general and subject specific clip art ranges and also the image editing and DTP programs to make best use of them. We also cover language, RE, and reference software. 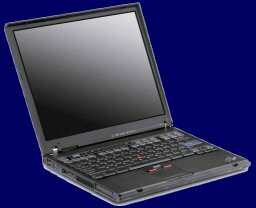 We can also obtain out of date and end of line software and second-user and refurbished	computer hardware, if you are on a budget or trying to track down an elusive item.